Hi everyone! 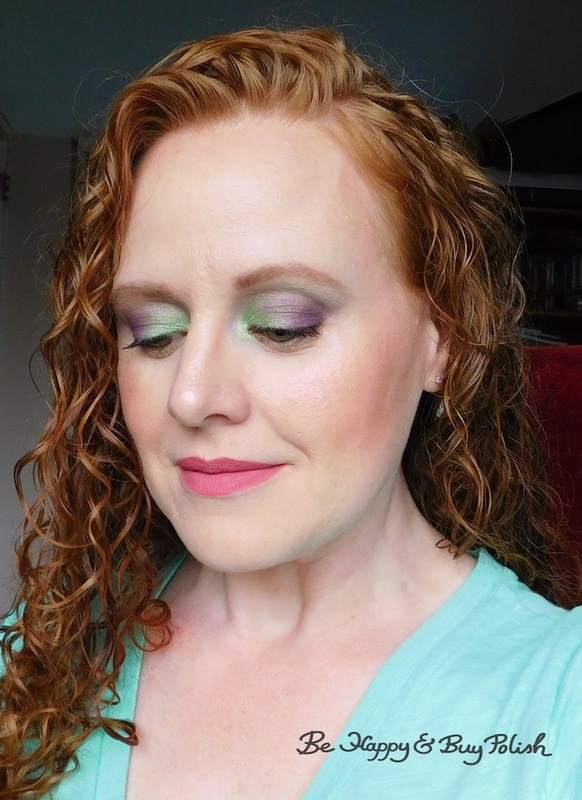 In my seemingly never-ending quest to try out more adventurous makeup looks, today I’m going to show you a two-toned green & purple makeup look with Glamour Doll Eyes Pass the Bubbly [press sample], ‘Til Death, FrankenGlamour, and Bittersweet. 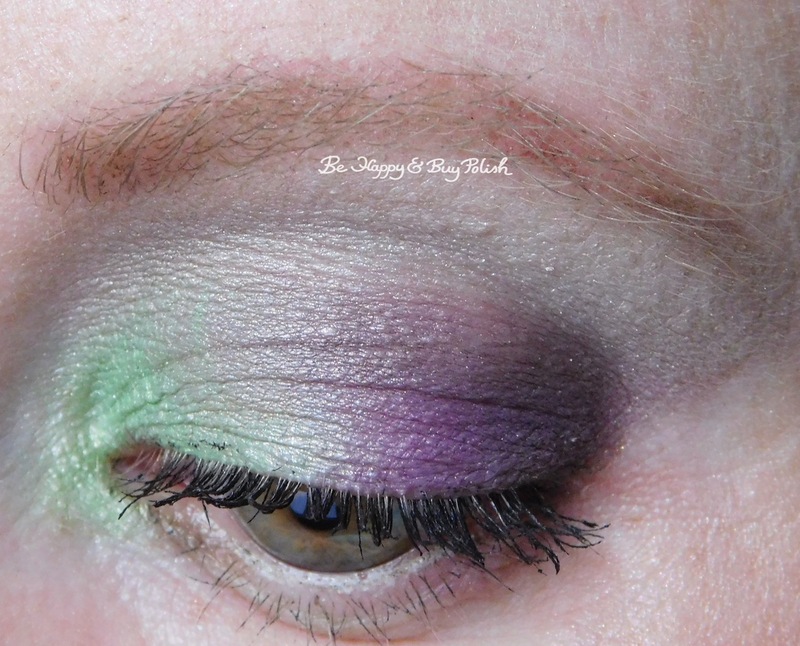 I started off with NYX Cosmetics Milk as a base on my lid. Then I used FrankenGlamour on the inner lid and corner and ‘Til Death on the outer part of the lid. 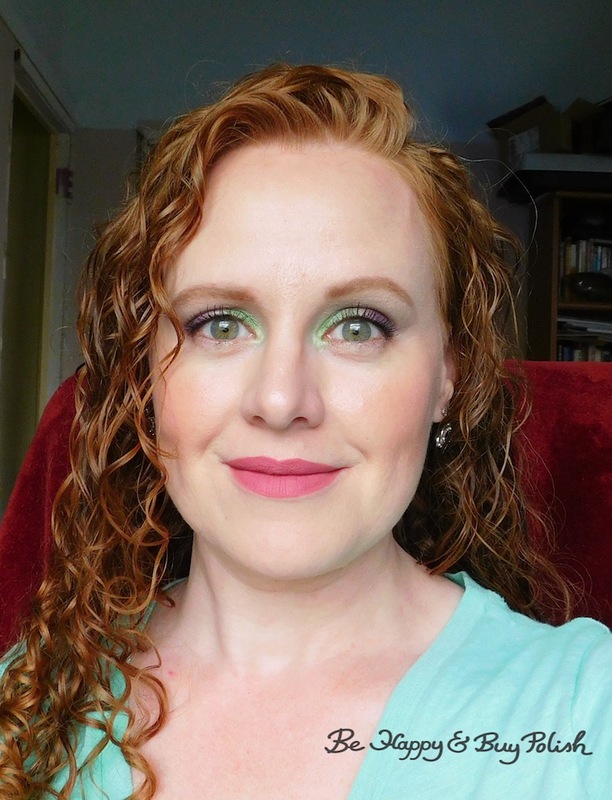 I’ve used Bittersweet in the outer corner and blended into the crease and finished off with Pass the Bubbly on the browbone. I’ve used Sephora eyeliner in Coffee, and mascara is Hope Girl. 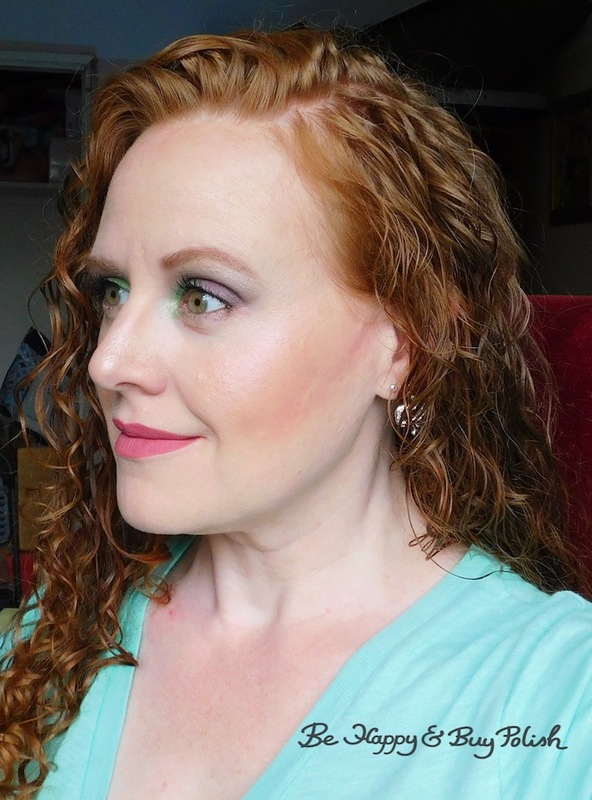 For my highlight, I’ve used GDE Ms. Monroe; contour is GDE So Fetch; blush is GDE Peach is the New Blush. I really like how my eyeshadows turned out but I’m kinda meh on the rest of the look. Well, that’s why I like to play with makeup and see what works and what I like (and don’t like). 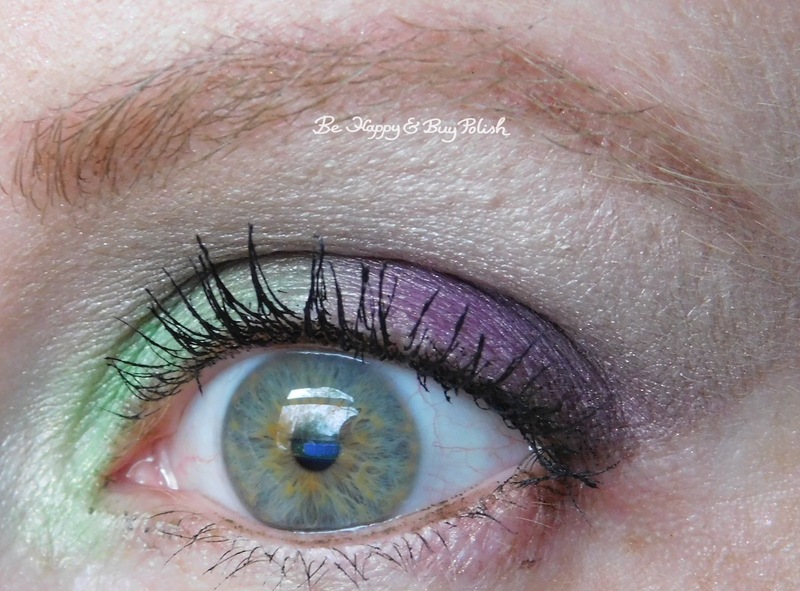 The eye makeup is gorgeous and so fun with the green and purple together.